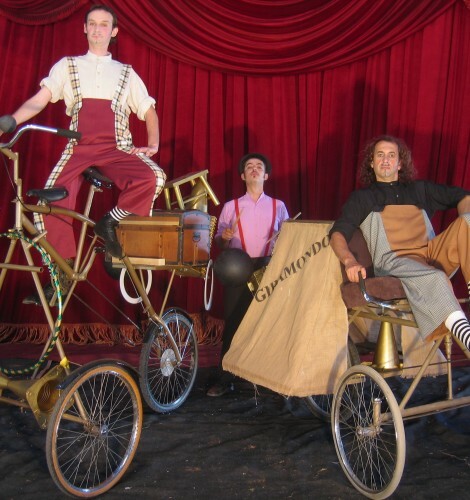 Two comedians arrive on their bizarre tricycles all the way from Italy. 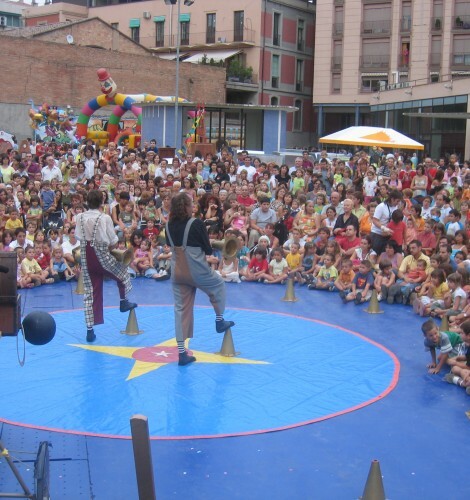 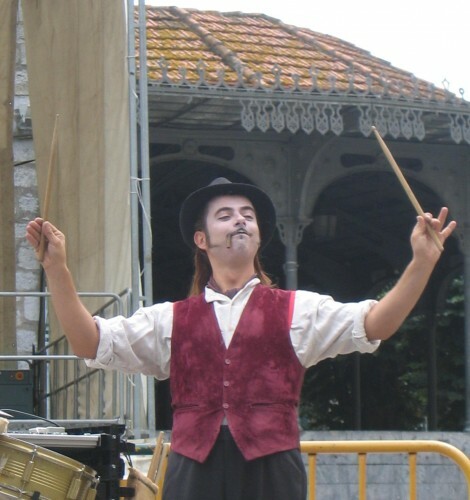 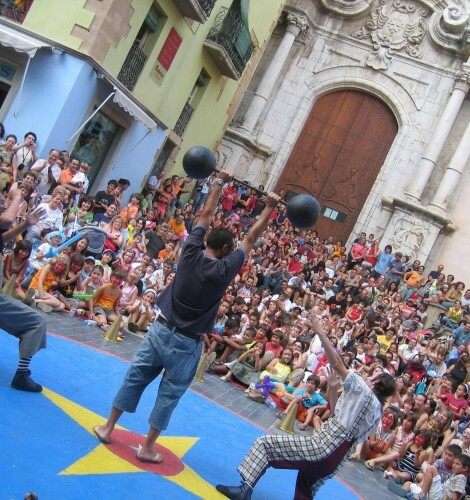 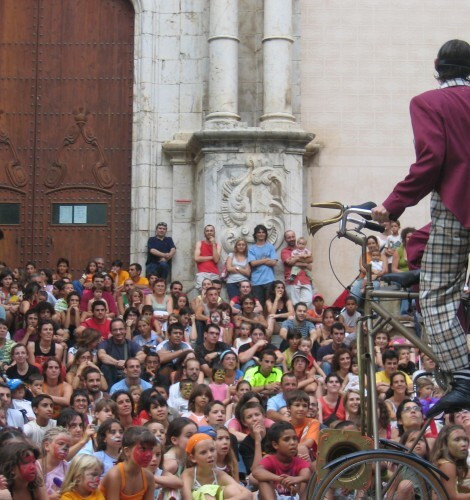 After traveled through many villages and towns, this couple of anachronic characters summon up children and adults to be part of their show at a local square, a street or maybe a theatre. 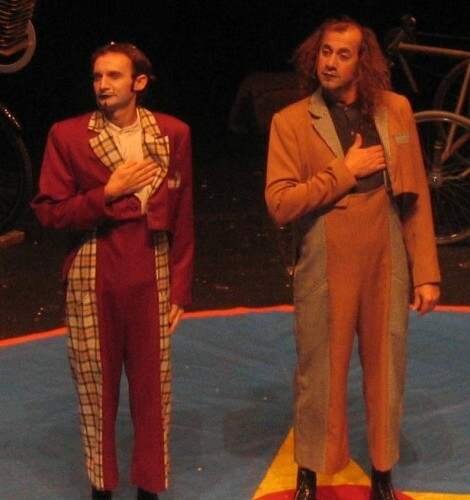 Along with a simple and direct humor, risky tricks, comical and engaging games and unbelievable juggling, they will try to thrill the audience or, maybe, who knows… they will help them to find the love of their lives. 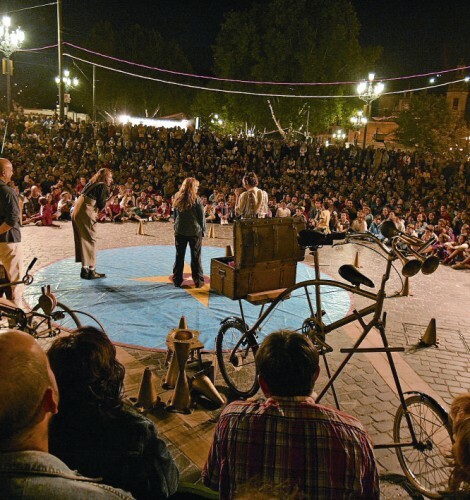 A shacking show to the rhythm of tarantella, full of humanity and poetry. 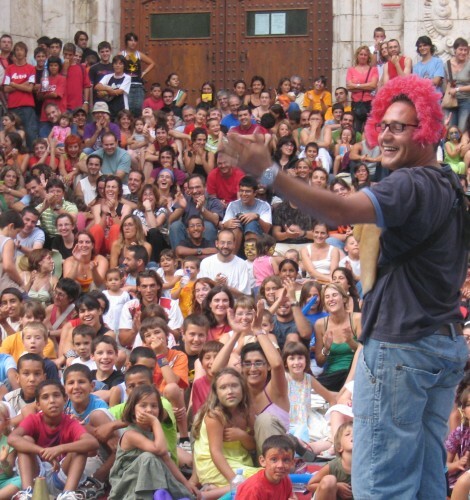 Language: Macaroni Italian (kind of an Italian variation of Spanish) / An “spettacolo” for all audiences / Outdoors or indoors.